Many, many new scores for your perusal! Check them out on the new stuff cart. Links coming as soon as the library catalog switches over in a few weeks. Hey everybody, guess what? After all the new arrivals in the past couple of weeks, we just got some more! Definitely starting the year off strong. Are you a fan of this guy? This guy? How about this guy? If so, think about this: None of them would be able to make the impression they made on music without THIS GUY: Adolphe Sax, the inventor of the saxophone (get it?). This famed instrument designer was born in 1814 in Belgium to a father who was also an instrument designer. From a young age, Adolphe revealed a strong talent for instrument design, creating woodwind instruments in his teens and entering them in contests. He studied flute and clarinet at conservatory in Brussels before entering a career of design, during which he developed several types of horns, some successful and some not so. His most successful developments were a valved bugle called the saxhorn, his first great triumph, and of course, the saxophone itself, his last invention before becoming a teacher at the Paris Conservatoire. Why the life story, you may ask? Because of this: Another AU Musical Event! 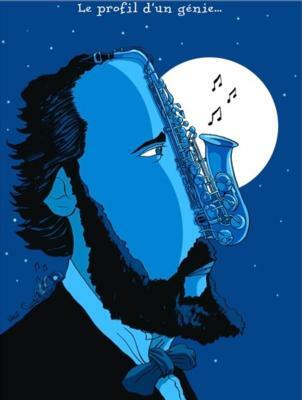 2014 happens to be the bicentenary of Adolphe Sax’s birth year, and AU is hosting an exhibition of his life and innovation in the Katzen Rotunda. The exhibit is being co-sponsored by Sax’s town, Dinant, the Wallonia region of Belgium, the Belgian Embassy, the International Adolphe Sax Association, AND Stella Artois! The exhibit, fully titled “The Bicentenary of Adolphe Sax; Belgian Illustrious Inventor of the Saxophone”, has already been going on for a week, but it will continue to live in the Rotunda until September 11. On Saturday, September 6 at 6pm, AU faculty member Noah Getz (saxophone instructor and leader of AU Workshop) will lead a saxophone quartet performance to celebrate further the creator of the saxophone. Other than that, it’ll be open every day until the 11th from 10am-6pm in the Katzen Rotunda. Come by! Don’t forget, the Music Library is having an LP Bag Sale this Friday, April 26 from 10AM-2PM in front of Bender Library!!! This set of Staff Picks is dedicated to currently performing string quartets and new music ensembles/composers. The quartets are pretty standard Haydn works but the cool part about this CD is that this recording is played by the Daedalus Quartet. 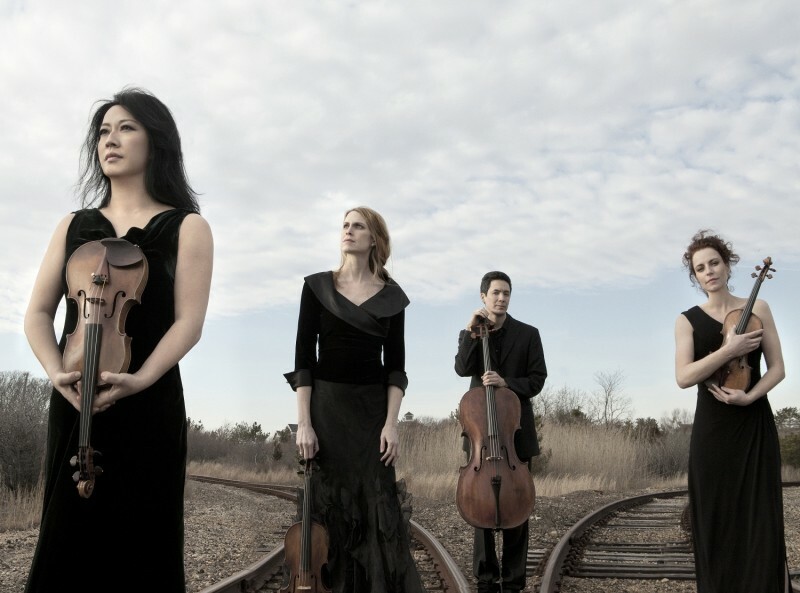 The Daedalus Quartet is considered a leader among the newest generation of string ensembles. The members of this string quartet hold degrees from the Julliard School, Curtis Institute, Cleveland Institute, and Harvard University. Min-Young Kim and Matilda Kaul play violin, Jessica Thompson plays the viola, and Thomas Kraines plays the ‘cello. This CD was released in 2009.
eighth blackbird “combines the finesse of a string quartet, the energy of a rock band and the audacity of a storefront theater company.” The members of the ensemble “hail from America’s Great Lakes, Keystone, Golden and Bay States, and Australia’s Sunshine State. There are four foodies, three beer snobs and one exercise junkie.” It seems like it would be fun to hang with these folks. 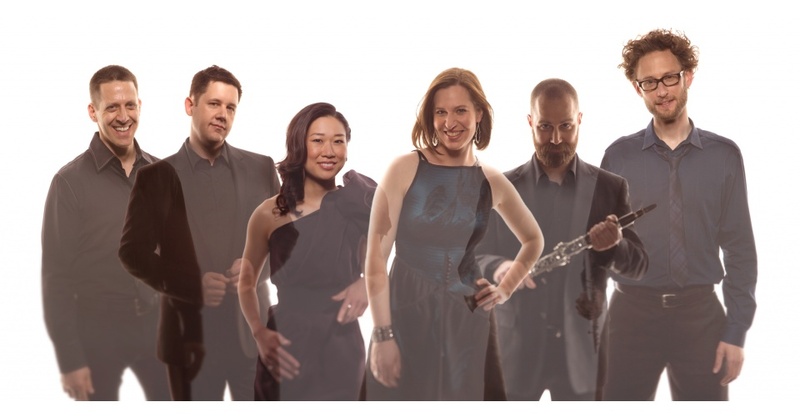 Tim Munro plays the flutes, Michael J. Maccaferri the clarinets, Yvonne Lam the violin & viola, Nicholas Photinos the ‘cello, Matthew Dunvall percussion, and Lisa Kaplan the piano. This CD was released in 2012. I often reference works by John Adams in my Staff Picks, and I honestly don’t think I could ever forget to mention him. 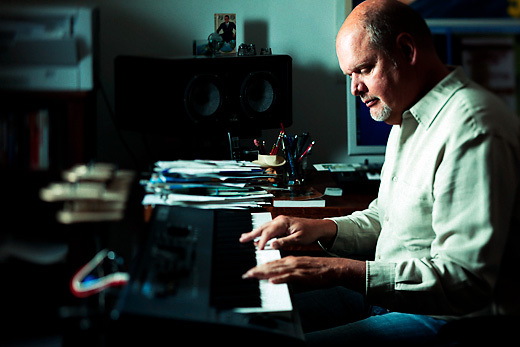 Adams is a North American based new music composer. Once again, the symphonic version of my favorite opera, CD 9695 — Doctor Atomic / Guide to Strange Places. This CD was released in 2009. 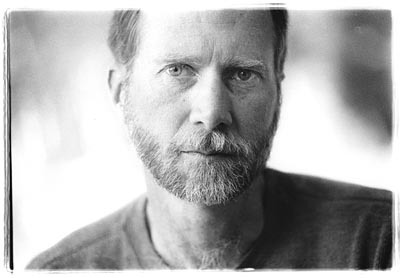 Do you like Arvo Pärt as much as Ethan Hicks? 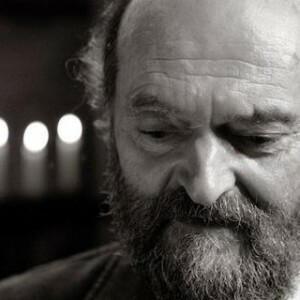 I doubt it, but you should still take a listen to this fantastic Pärt CD that explores many of his works including, but not limited to: Adam’s Lament, Beaatus Petronius, Salve Regina, and Estonian lullaby. This CD was released in 2012. A Mixed Bag of New Scores!